The Antigenome: From Protein Subunit Vaccines to Antibody Treatments of Bacterial Infections? New strategies are needed to master infectious diseases. The so-called “passive vaccination”, i.e., prevention and treatment with specific antibodies, has a proven record and potential in the management of infections and entered the medical arena more than 100 years ago. Progress in the identification of specific antigens has become the hallmark in the development of novel subunit vaccines that often contain only a single immunogen, frequently proteins, derived from the microbe in order to induce protective immunity. On the other hand, the monoclonal antibody technology has enabled biotechnology to produce antibody species in unlimited quantities and at reasonable costs that are more or less identical to their human counterparts and bind with high affinity to only one specific site of a given antigen. Although, this technology has provided a robust platform for launching novel and successful treatments against a variety of devastating diseases, it is up till now only exceptionally employed in therapy of infectious diseases. Monoclonal antibodies engaged in the treatment of specific cancers seem to work by a dual mode; they mark the cancerous cells for decontamination by the immune system, but also block a function that intervenes with cell growth. The availability of the entire genome sequence of pathogens has strongly facilitated the identification of highly specific protein antigens that are suitable targets for neutralizing antibodies, but also often seem to play an important role in the microbe’s life cycle. Thus, the growing repertoire of well-characterized protein antigens will open the perspective to develop monoclonal antibodies against bacterial infections, at least as last resort treatment, when vaccination and antibiotics are no options for prevention or therapy. 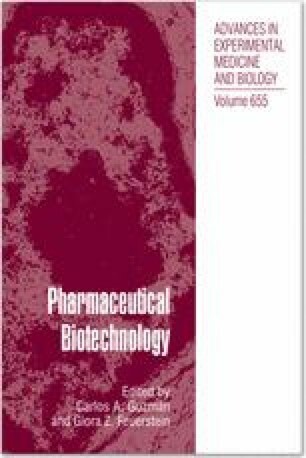 In the following chapter we describe and compare various technologies regarding the identification of suitable target antigens and the foundation of cognate monoclonal antibodies and discuss their possible applications in the treatment of bacterial infections together with an overview of current efforts.